Our client is engaged in a Payer funded project that is aimed at reducing the manual effort required by payers to complete patient chart reviews for HEDIS reporting. The project requires that clinical data is collected for each encounter, validated against a specific set of rules, additional eligibility checks executed with the data and finally that the HEDIS data in these records are electronically sent to the payers. The client required a single solution to perform these tasks accurately and efficiently. The data is received from external practices in seven separate csv files for each encounter. Validation rules need to be executed against the data and error reports need to be generated and transmitted to the practices. Eligibility checks for validated encounters need to be sent and received by the solution. HEDIS data for all eligible and validated records needs to be extracted from the encounter data and transmitted to the payers. This needs to be an auditable and automated solution. Our client who has licensed the complete IMAT solution contracted with IMAT Solutions to configure IMAT to perform the required tasks to meet the objectives of the project. The IMAT ETL feeders were configured to ingest, validate and normalize the incoming encounter data. During the ETL validation process errors are identified based on configurable rules and error reports are generated for each practice. These reports are then transmitted through Direct protocol to the practice identifying the patient, encounter and incorrect data. The compound query engine is configured to transmit and receive eligibility checks against validated encounters. Declined encounters are identified and these records are again included in an error report sent to the practice. The compound query engine extracts HEDIS data for all validated and eligible encounters and provides this data to the relevant payer. The client was able to leverage an existing investment to meet the objectives of the project. The solution provides detailed and summary reporting for the practices and administrators through a single process. The solution is automated and requires minimal manual intervention. 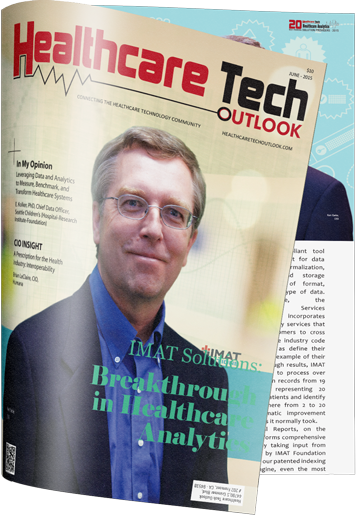 The solution is scaleable through IMAT’s ability to manage billions of records on a single server. No additional hardware or infrastructure was required. Our client is able to maintain and support the solution as part of the larger IMAT solution.